It’s looking more like the new GLS may not arrive until later next year. I had 8 months left on my 2017 GLS 450 lease. Don't like the way the X7 looks and the third row seat leg room is a couple inches less than that of the current GLS. Traded my white 2017 last week for a black 2019 with appearance, lighting and three zone climate....coming from the s**t halogen lights, the LEDs look amazing...I'll drive this one 2 to 3 years...by that time the hype of the 2020 X167 will be diminished and they would have ironed out some of the bugs associated with any new redesign. It made sense for me to make this move now and wait a couple years before going for the redesign. "If the reports are accurate, the Mercedes-Maybach GLS will debut as early as the end of this month during the Los Angeles Auto Show. Autocar has it on good authority we are only a few weeks away from the SUV’s debut, and presumably, the regular versions are going to be exhibited in California as well." So what does the INSIDE look like? That's what I'm waiting to see. And will the Maybach version be 3 rows or just an ultra luxurious 2 row. i think LA 2018 seems too close to the recent GLE reveal.what do you all think? BMW is debuting the X7 at the LA show in a few weeks. I doubt MB debuts the new GLS there. I doubt they want to share the spotlight. Mercedes-Benz is swan-diving into luxury's deepest waters by unveiling the Mercedes-Maybach GLS SUV in LA. Mercedes is never one to be left out of a luxury segment. 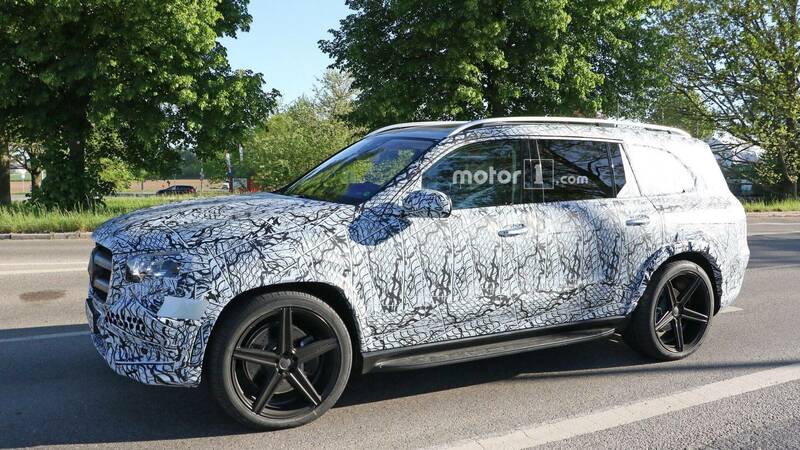 The Mercedes-Maybach GLS will rise to the occasion of providing German competition to the likes of the Bentley Bentayga and Rolls-Royce Cullinan. I think they are basically mimicking the rollout of the X7. Show the concept version well in advance (18 months) of delivering the production version. In this case, instead of it being the concept, it will be the Maybach version. Last edited by JoeMa; 11-26-2018 at 11:42 AM. I doubt it will debut at the la auto show. There isnt any press release for it so far. Finally a great looking wheel. You can't go wrong with a classic 5 star wheel. Never ages. Those are the AMG wheels. They've been available for years on the current model if you choose the AMG pkg for the 550 or the AMG GLS63. I really wish the AMG pkg would be available on the GLS450 though. I think you're correct, the show starts Friday and still no mention of it on the LA Auto Show web site. Last edited by JoeMa; 11-27-2018 at 05:15 PM. From C-NET Road/Show:Mercedes-Benz is swan-diving into luxury's deepest waters by unveiling the Mercedes-Maybach GLS SUV in LA. Mercedes is never one to be left out of a luxury segment. 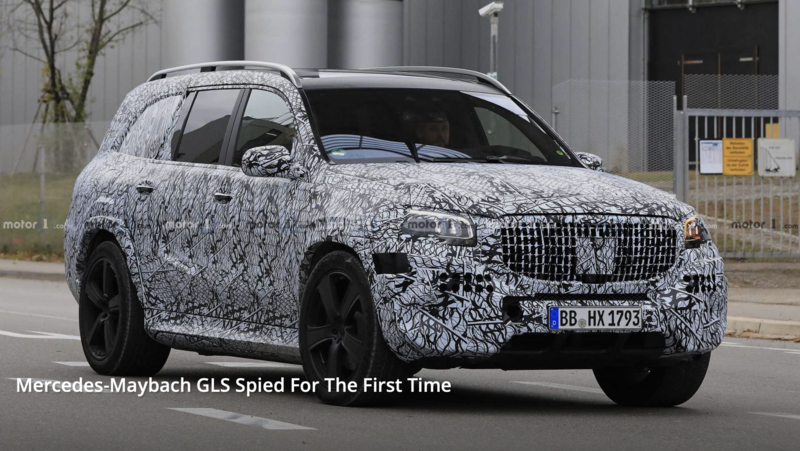 The Mercedes-Maybach GLS will rise to the occasion of providing German competition to the likes of the Bentley Bentayga and Rolls-Royce Cullinan. Mercedes is really missing the boat not showing this at the LA autoshow. This is what I am told today - production will start July - release end-Sept - interestingly I am told today "US standard" will be 2nd row Captain's Chairs - with 2nd row bench as a option..
cool fab. could mean a Geneva intro. gle has 3” more in second row than x7, current gls has 1.5” more in third row (along with 2” more shoulder and head room). Last edited by bonboon; 12-07-2018 at 07:04 AM. Same! in a GLS550 - love the power and some of the 'S' like bells and whistles but at the end of the day it's a very capable people and gear hauler for us. Great road, ski camping, beach trip, school, sports carpooler. I wouldn't want to pay much more for one! What about the 550 body kit being available for the 450 like our Europe counterparts? Last edited by jerome8283; 12-08-2018 at 09:20 AM. What about the 550 kit being available for the 450 like our Europe counterparts?